This well known online cosmetics retailer has launched a new collection of moisture lipsticks, part of an expansion to their already-large inventory. This collection of moisture lipstick is really only the beginning. Our customers are definitely going to be happy. Lady de Cosmetic, a major presence in online cosmetic sales, is growing larger still with the addition of a new collection of L.A. Colors Moisture Lipstick. 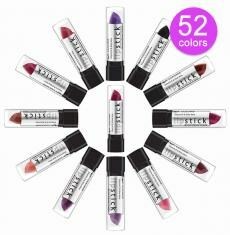 Infused with Vitamin E and Aloe, this lipstick comes in 52 colors. And this is just the start for the online retailer, which is in the midst of a massive new product launch. Economic studies show how luxury products are the first items families have to go without when finances are tight. Lady de Cosmetic’s moisture lipstick, as well as all of their cosmetic products, are priced to always be affordable. New products from L.A. Colors and other wholesalers are in the process of being rolled out on the Lady de Cosmetic website. Internet fashionistas have been taking notice of Lady de Cosmetic, too. “They have every type of makeup you’d need. Not only that, but the quality is high and the prices are unbeatable. Lady de is taking the fashion industry by storm!” raves one e-fashion expert.